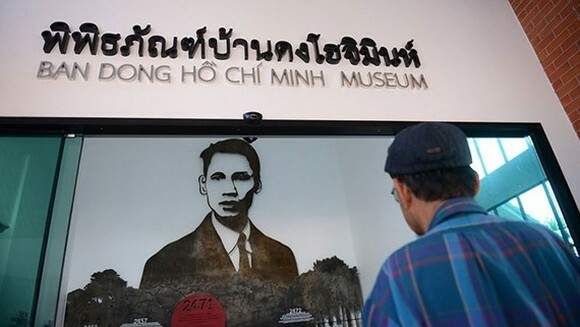 The Ho Chi Minh Museum in Phichit province's Ban Dong, 350 km due north of Bangkok just opened to the public. The musuem is the third relicsite on the late President Ho Chi Minh in Thailand, including memorial sites in Udon Thani and Nakhon Phanom provinces. Speaking at the inauguration ceremony, Thai Minister of Tourism and Sports Weerasak Kowsurat and Phichit governor Weerasak Wichitsaengsri affirmed that the province is one of the first destinations where President Ho Chi Minh arrived in living and working in Thailand. The project funded by the Thai government aims to commemorate President Ho Chi Minh and contribute to strengthening the relationship between Vietnam and Thailand. Ho Chi Minh Museum and the Ho Chi Minh Memorial Site, are located in the Thailand-Vietnam Friendship Center in Phichit province, covering on an area of 6,400 m2. The construction of the museum was kicked off in December, 2013.